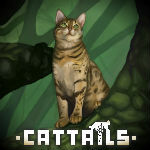 Vending Machine | Cattails: Become a Cat! You get to be one of Discord's "Bots"! AKA The symbol for female (O+) with a raised and closed fist inside the round part on top of said symbol. you get a new car!!!1!!!!11!! Thanks to my partner for my icon! They're the best! All the non-coin items that were previously inserted come rushing out of the machine. I put in one mew (which is, in fact, a coin). Moonkitti pops out. For some odd reason. How did Moonkitti even get in there? Amazing profile picture by Aelou , Check them out! They're great! you get A stampede of alive, confused cattail npc's! There was an error and all the coins that were inserted pool out. You might just be rich! Your coin breaks and so does the vending machine, but another one magically appears. Strange, right? The plastic coin somehow melts and it drops out as a liquid. how unlucky.